Other people's voices, singing - the fifth essential necessity of life. 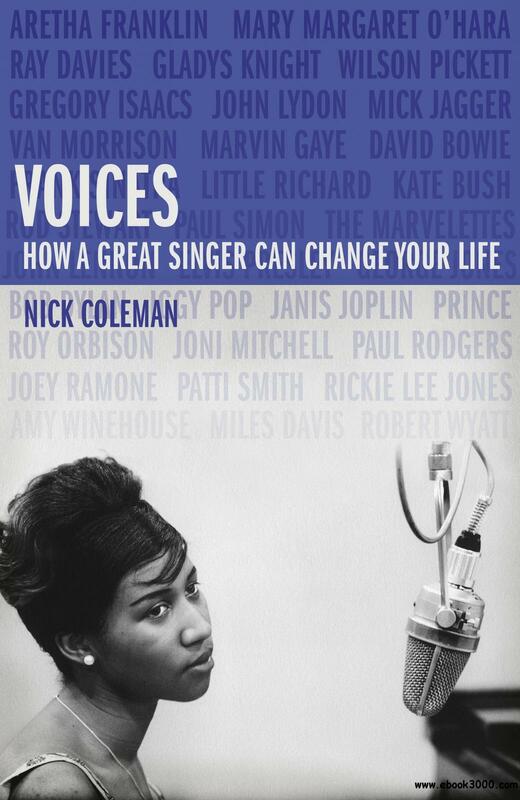 Nick Coleman's new book is an exploration of what singing means and how it works. What does it do to us to listen hard and habitually to somebody else's singing? And why is the singing of others so essential to human life? Why do we love it so? The book asks many other questions too. What was Roy Orbison's problem? Who does Joni Mitchell think she is? Why did Jagger and Lennon sing like that (and not like this)? What did Aretha Franklin do to deserve the title 'Queen of Soul'? For that matter, what is 'soul'? What is the point of crooning? What does it say about you if Frank Sinatra leaves you cold? Billie, Janis, Amy: must the voices of anguish always dissolve into spectacle? The history of post-war popular music is traditionally told sociologically or in terms of musicological influence and innovation in style. Voices takes a different tack. In ten discrete but cohering essays Coleman tackles the arc of that history as if it were an emotional experience with real psychological consequences - as chaotic, random, challenging and unpredictable as life itself. It is the story of what it is to listen and learn. Above all, it is a story of what it means to feel.